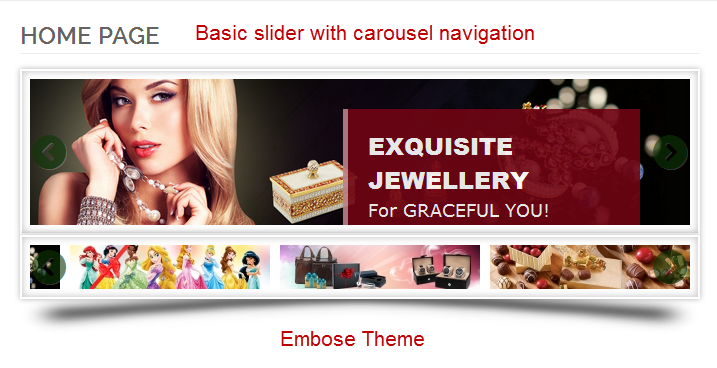 Responsive Banners Slider provide Basic Slider, Carousel, Basic Slider with Carousel Navigation. 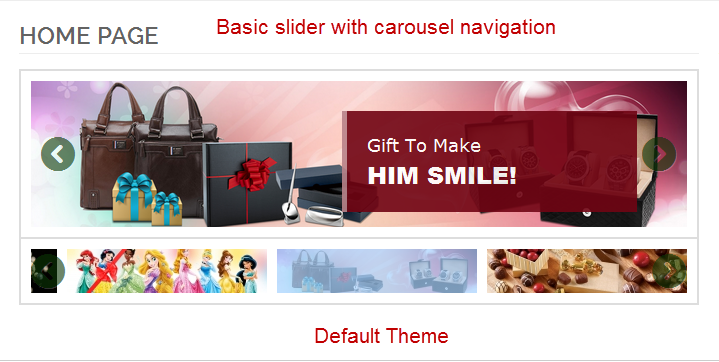 Horizontal/vertical slide setup feature and also set slide and fade effect for slider. You can easily manage banners from admin and also different type of effects and color style formatting from admin. Multiple slider support on specific store, callback API and more features. It works on all type of smartphones and tablets. Apply images and video into slider. Easily add, edit, and delete slides items from the admin with complete slides management feature. You can choose time period for displaying banners. Why Use Responsive Banner Slider? Responsive Banner Slider is very useful extension for set banners slider in Home page, CMS pages, Category pages and Product pages of your magento store based on selection set from admin. You can create and manage Group of slides from admin and show in front. You can set Enabled/Disabled responsive banner slider Extension in product page, CMS page and category page also set include jquery library from admin. 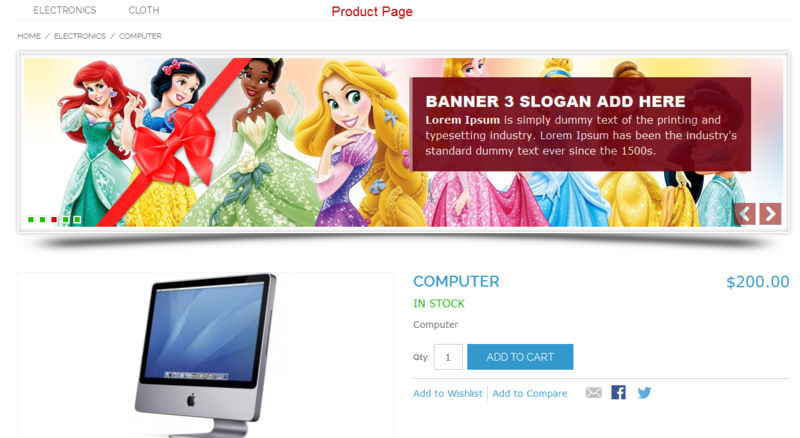 You can manage all banners from admin and also do give the effects and design formatting from admin. You can set slider settings like Thumbnail Upload Width, lazy load etc. 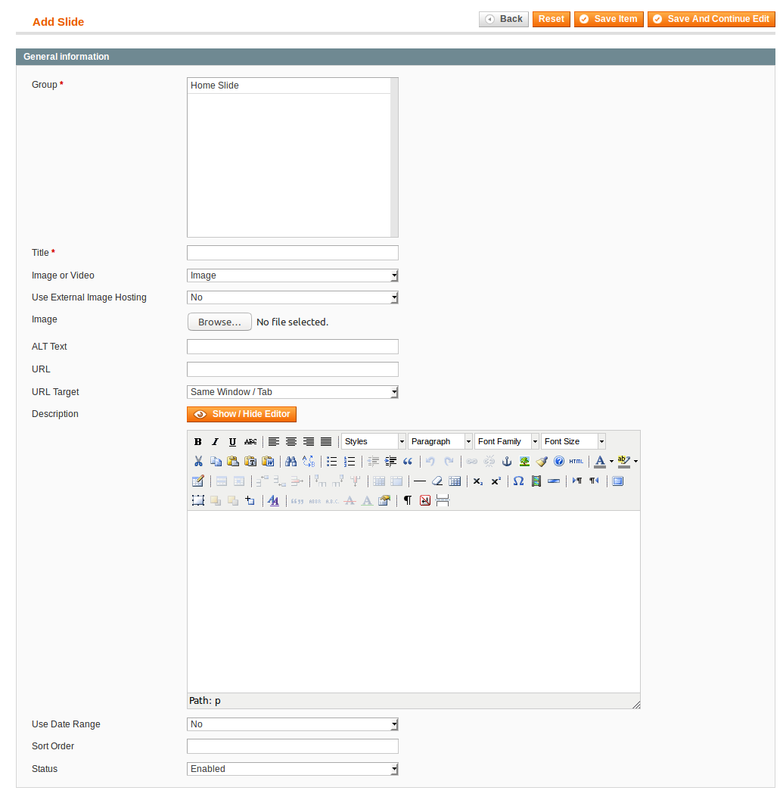 Create groups provide the feature to create number of sliders into your store for different pages. You can also do different settings for each group like slider theme, animation type, animation duration, navigation options, pagination options etc. 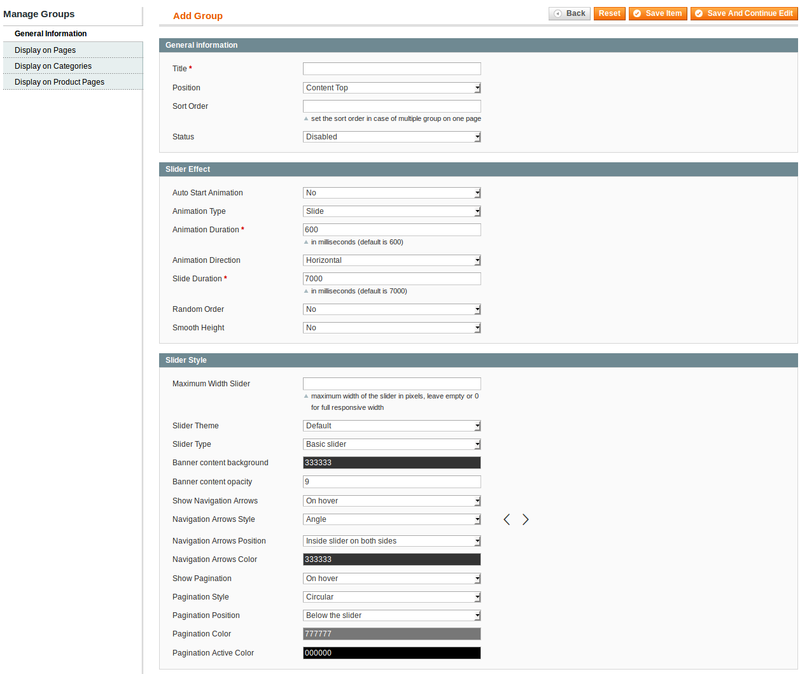 You can easily manage slides from the admin and with many options like image, image url, content, external image etc. You can also setup video. After creating groups and slides you can see sliders on front-end. 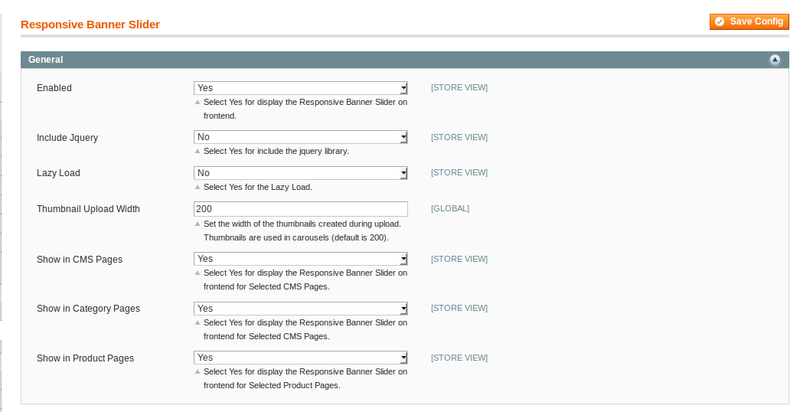 You can see different type of sliders on different pages as you have set into your store admin. This is an overall good extension. However, it is great if we could upload mobile banners separately. They provide extension at no cost with good features. I researched many Banner Sliders and I believe this is the best one. I had it installed and configured and it works great. Support was very fast and efficient. A decent yet restricted slider, helpful for what I expected to do, would be pleasant to have some additional elements, for example, move alternatives yet for a free module it was exceptionally valuable and exactly what I required. Exceptionally easy to use and set up, Great Service, have never experienced such awesome administration levels from a free module. Much appreciated once more. Truly pleasant. It has made with basic and yes capacities as portrayed. Much obliged to you for giving it as free. This extension working fine in magento 1.9 and support for free extension is awesome! Thank you for providing this extension for Free to the community. 1) Supported latest php version. Fixed "Navigation arrow" issue for single image. Fixed Special Character bug when uploading images. Q-1: I have installed Responsive Banner Slider Extension. But When I click on responsive banner slider tab in the config page will get a 404. :(. Ans : After installing responsive banner slider Extension. Please Logout from admin account and Re-login and Refresh Cache. Q-2: Lazy load is not working properly. Ans : May be you are facing this issue Because of you are set video in Slider and lazy load supported only slider images. Q-3:I have installed Responsive Banner Slider Extension. But When I click on responsive banner slider tab then will get database table error. Go to Your store database. Then Please check responsive banner slider database table exits or not. See the below screen. 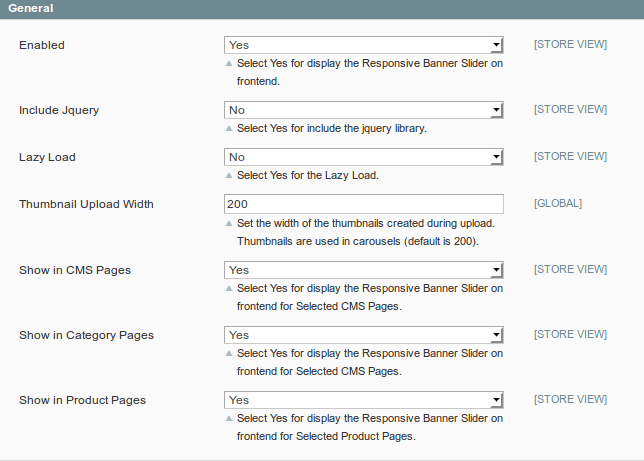 If you not found responsive banner slider database table then please follow below step. Click on “core_resource” table and found “responsivebannerslider_setup” entry. Please remove “responsivebannerslider_setup” entry then please reinstall responsive banner slider extensions.